Redstone added in Minecraft Windows 10 Edition. Recently Mojang, the official blog of Minecraft surfaced a news related to a colossal features of the game which will create new dimensions all together. It is a massive news for the players to hear that the Redstones are now available in the Win 10 edition of Minecraft and it certainly requires a bit of attention from the fans as well. Right now the response has been overwhelming from the community and its a positive sign. To have a glimpse of what exactly is Redstone and what are the functionality can be elaborate easily by having a short introduction about it. Redstone is an exceptional and hidden power in the game which functions same as the electricity in our world. Additionally it helps to operate different machines without creating a hassle. This is an initial step towards the series of updates which are coming in the upcoming days related to Redstone and they will address more complex features into it. Although it still gives you the chance to create intricate devices including powered rollercoasters and automated doors. So as the updates will come out in the future, fans will able to experience more complicated things. The update will also carry bunnies. Desert temples works as a watch out for traps. Wooden doors will be added because fans have a greater liking for it. 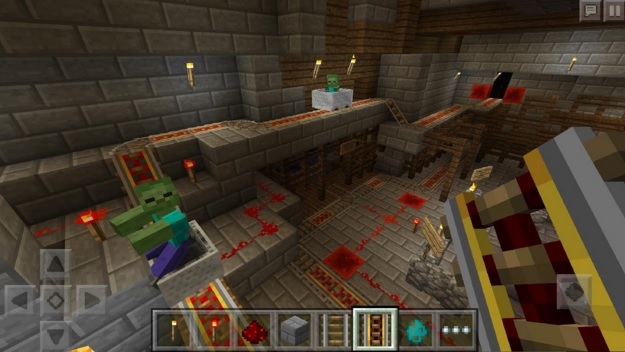 It is undoubtedly a fresh breather for the players who were anxiously waiting for the Minecraft 1.9. It will also increase the eagerness in the players to direct more towards the Win 10 edition. Since removal of Herobrine and Stone Cutter which will devastate the community but this damage heal in a while. So have fun playing your favorite game and check the latest updates here.